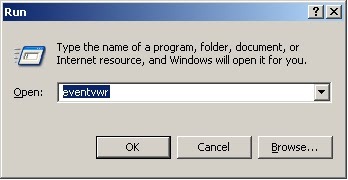 In Windows XP, an event is any significant occurrence in the system or in a program that requires users to be notified, or an entry added to a log. 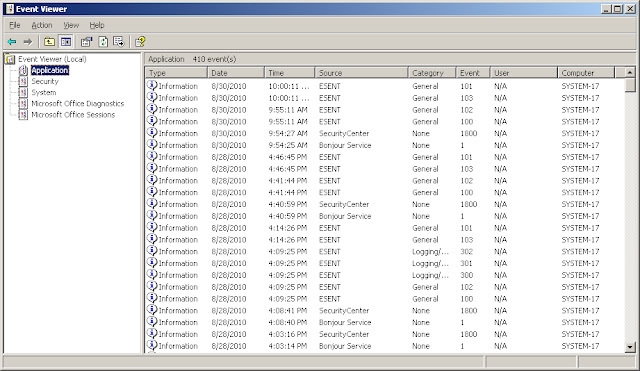 The Event Log Service records application, security, and system events in Event Viewer. 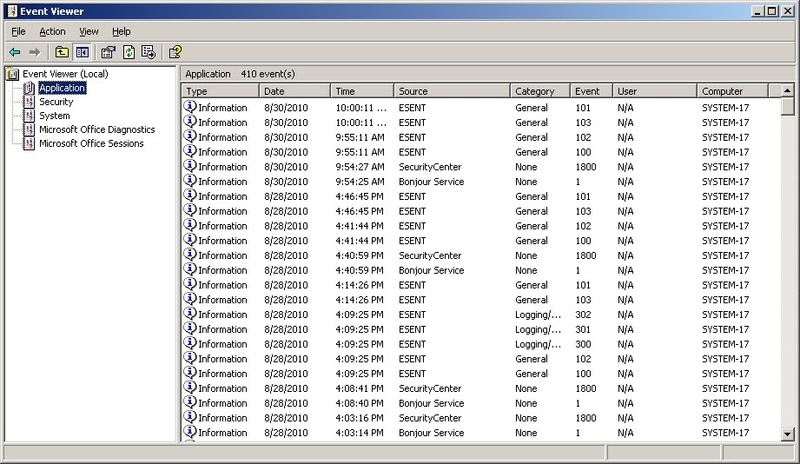 With the event logs in Event Viewer, you can obtain information about your hardware, software, and system components, and monitor security events on a local or remote computer. Event logs can help you identify and diagnose the source of current system problems, or help you predict potential system problems. 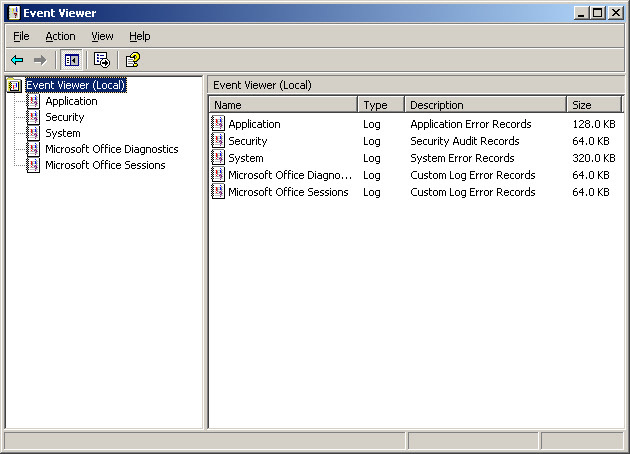 The application log is where applications / programs log their events. For example, when your virus scanner encounters a problem, it could bring this to your attention through the application log. The developers of the program are responsible for the type of events that are logged here. THAT is where you can often find VERY useful information about things that go wrong behind the curtains. Things that can dramatically slow down your pc. The security log is used to bring valid and invalid logon attempts to your attention. Also file access, creation and deletion of files can be logged here. You need to have an account with administrative privileges to enable, use and specify which events are logged in the security log. The system log , where you will find events logged by Windows system components. Can also reveal some VERY interesting troubleshooting information about your system. There are basically three types of events : information, warning and error. Informative events : There's no need to worry about it. they just, well, inform you that something has happened, e.g. a driver has loaded or a service has started. Warnings : Not critical. May be an indication of future problems, for instance when disk space is running low. Errors : You should try to get rid of those. They indicate a significant problem, such as the failure of a critical task. For example when a system service fails to start. These can cause loss of data or functionality. Lepide Event Log Manager offers centralized, powerful and hassle free monitoring and collection of windows and W3C events. The tool helps to filter the events and generate the reports based upon your choices. Plus alert generation is possible as well.